If you think most all bikes are the same, you couldn’t be more wrong. Buying the right bike is tremendously important, especially if you are considering biking or cycling as a way of life. It is a commitment because the bike that you buy will determine your level of satisfaction in your chosen lifestyle. Bicycles have always been famous but their popularity has never been as high as it is today, precisely because of our growing awareness of the many benefits that cycling will be able to give to the biker and the environment as well. However, buying the right bike is something you need to think through carefully and review your options. A lot of people are wondering which brands are good to buy, but this is not really the problem. In this article, we are going to discuss some helpful pointers in getting the right type of bike. The first question that you need to ask yourself is this: where would I like to bike? Would I do it on the road? Off road? There are those who like to bike along paved highways, while there are others who enjoy a good commune with the rugged terrain that nature provides. So, which would you prefer? Basically, if you are the smooth and asphalt lover, then you should be looking at a road bike. As we know, road bikes are primarily designed for speed. They are lightly constructed, and the tires are also thin. It is also designed in such a way that you body would bend in order to make everything more aerodynamic. Again, road bikes are designed for speed. If you love to go fast along smooth highways, then this is the bike for you. Can you use this bike for off-road biking? Of course you can, in as much as you can use high heels to traverse the woods. Well, sarcasm aside, you may use the road bike for rugged-terrain biking, but only to a limited extent. The inherent design of the road bikes means that they cannot handle that much pressure as the other type of bike: the mountain bike. This brings us to the mountain bikes. Truth be told, mountain bikes have grown in popularity in the last ten years or so. There are several reasons for this. First, mountain bikes are very versatile. Modern mountain bikes can be used on the road or off-road. They handle well in both. As a matter of fact, young bikers prefer the mountain bike because they can alter their routes as they please. Mountain bikes are constructed with wide tires and thick body. This is to ensure that they will be able to endure the most punishing landscapes with relative ease. Mountain bikes are also constructed with springs in order to add comfort to really extreme biking. The best thing about them is versatility – they can be used on the asphalt and they are even better in the rough roads. So, which is better? Well, it is a rather unfair question. In the first place, the answer would depend on your preference. Mountain bikes may be versatile and they may handle well in rugged landscapes, but they are kind of cumbersome. They are not built for speed, unlike the road bike. So, in conclusion, if you are after speed, buy a road bike; if you are after versatility, get a mountain bike. If you are still at a loss, do not give up just yet. There are also the hybrid bikes nowadays. 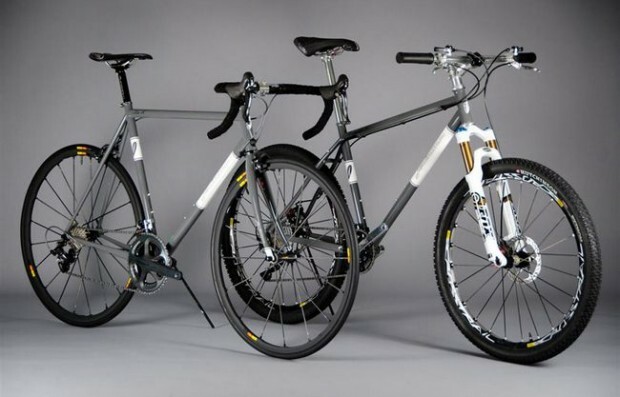 Basically, hybrid bikes are bikes which are constructed to possess the best features of both the road bike and the mountain bike. Therefore, hybrid bikes are both fast and versatile. Most modern bikes have carbon fiber frames these days. Carbon fiber is a tough and light material that is truly ideal for light-weight vehicles like the bike. Pond-for-pound, carbon fiber bikes are better than aluminum bikes mainly because the former are tougher and lighter. However, if you are on budget, then there are hybrids out there in the market. There are bikes constructed with both aluminum and carbon fiber. If your budget still does not allow for this, then you can actually go for the aluminum and alloy bikes. These types of materials produce sturdy yet heavy bikes. But, for new bikers who are still orienting themselves with the feel of biking, then this might be the right bike material for you – especially if you are a little low on budget. Besides, once you get more experience, you can upgrade your bike or you can get a more specialized one. 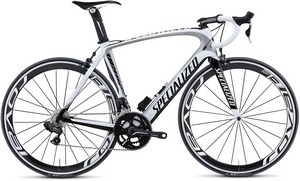 At the beginning, one must not rush to buy the most expensive bike there is. Posted in Buyers Guide on November 1, 2013 by Rich.